Senator Sanders continues to make inaccurate and misleading accusations against Amazon. We have been in regular contact with his office and have offered several opportunities for Senator Sanders and his team to tour one of our fulfillment centers (FCs). To date he has still not seen an FC for himself. Instead, Senator Sanders continues to spread misleading statements about pay and benefits. 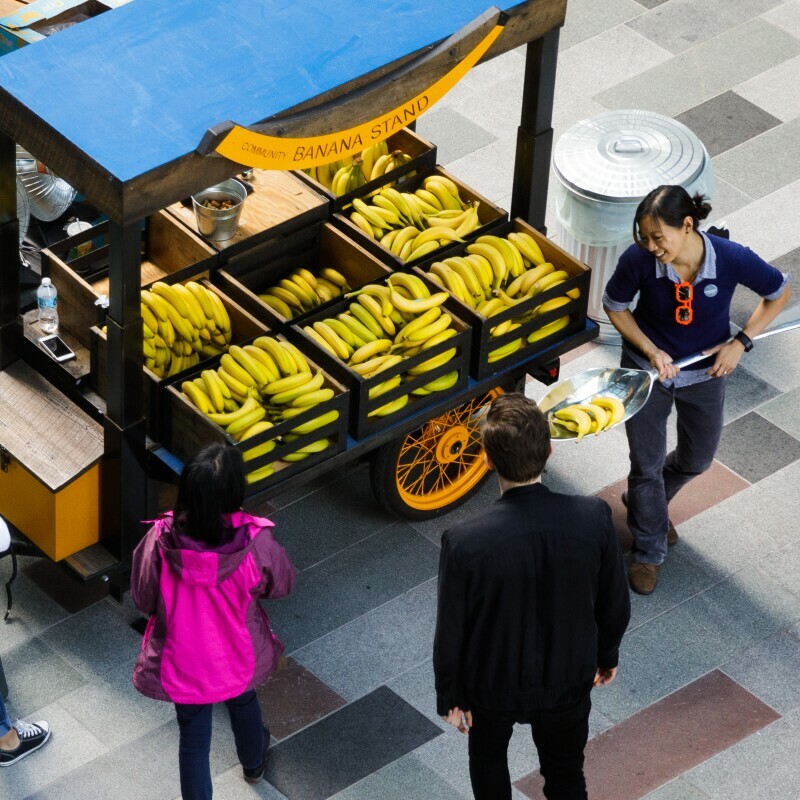 Amazon is proud to have created over 130,000 new jobs last year alone. In the U.S., the average hourly wage for a full-time associate in our fulfillment centers, including cash, stock, and incentive bonuses, is over $15/hour before overtime. (Updated 9:44 p.m., Aug. 29: Sen. Sanders claims that Amazon's median U.S. salary is $28,446, despite the fact that we've made clear that this number is global and includes part-time employees. In fact, the median U.S. salary for full-time Amazon employees is $34,123). We encourage anyone to compare our pay and benefits to other retailers. Senator Sanders’ references to SNAP, which hasn’t been called “food stamps” for several years, are also misleading because they include people who only worked for Amazon for a short period of time and/or chose to work part-time — both of these groups would almost certainly qualify for SNAP. In addition to highly competitive wages and a climate controlled, safe workplace, Amazon provides employees with a comprehensive benefit package including health insurance, disability insurance, retirement savings plans, and company stock. 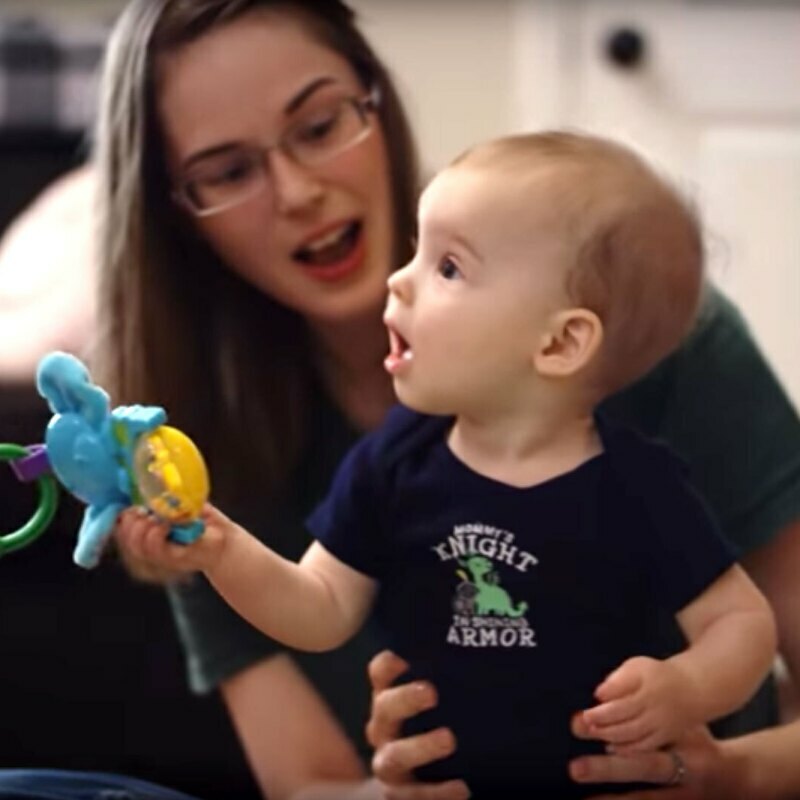 The company also offers up to 20 weeks of paid leave and innovative benefits such as LeaveShare and RampBack, which give new parents flexibility with their growing families. With LeaveShare, employees share their Amazon paid leave with their spouse or domestic partner if their employer does not offer paid leave. RampBack gives new moms additional control over the pace at which they return to work. Just as with Amazon’s health care plan, these benefits are egalitarian – they are the same for fulfillment center and customer service employees as they are for Amazon’s most senior executives. While Senator Sanders plays politics and makes misleading accusations, we are expending real money and effort upskilling people with our Career Choice program. Career Choice is an innovative benefit that pre-pays 95 percent of tuition, fees and textbooks (up to $12,000) for courses related to in-demand fields, regardless of whether they’re related to skills for jobs at Amazon or not. We have over 16,000 employees who have participated in Career Choice. No one knows what it’s like to work in one of our fulfillment centers better than the skilled and dedicated people who do it every day. That’s why we are encouraging all employees to take Senator Sanders up on his request and respond with their actual experience (Sanders’ form only asks for negative experiences — see below, but we hope he is also interested in positive ones). 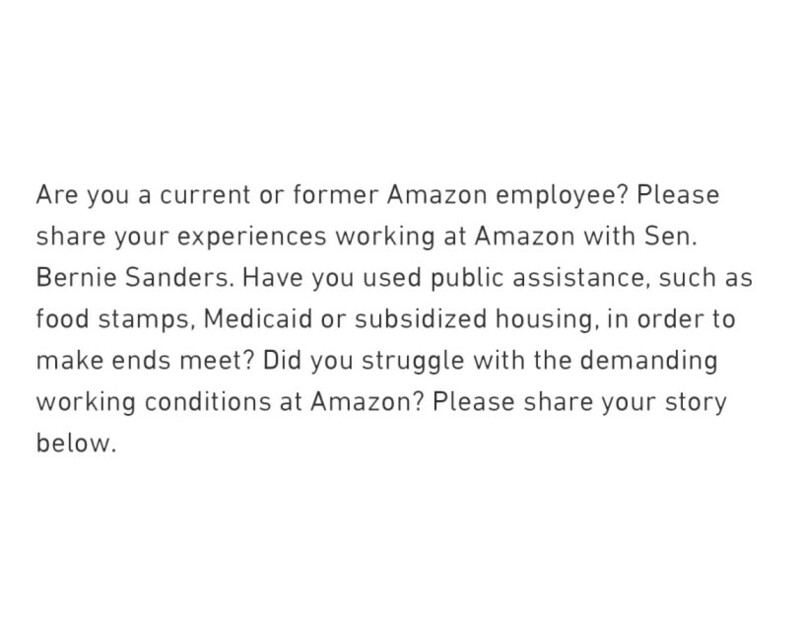 You may already be aware, Senator Sanders is asking folks in the FCs to share with him their experience of working at Amazon. I encourage you and your teams to let him know what you think. He only asks if you are on food stamps, but I hope he would be interested in hearing that you’re not as well. Please feel free to tell him your truth, and encourage all employees in your buildings to do the same – during stand-ups, in the halls, etc.
.@sensanders would like to understand your experience at AMZN.He only asks if you are on SNAP (he calls it “food stamps”), but I hope he’d be interested in hearing that you’re not.Please tell him your truth. I encourage you all to share your experiences: https://t.co/aRJ1kZBh5H. We encourage anyone to come see for themselves by taking a tour at one of our fulfillment centers — learn more at http://amazonfctours.com. Update: This came in right after Dave sent his note encouraging employees to write in to Senator Sanders. I've worked at Amazon since 2016 as an Operations Manager after graduating from Northwestern University's JD/MBA program. As a Democrat committed to correcting social injustice and providing an opportunity for all to succeed, I respectfully reject the premise of the leading question you are asking. 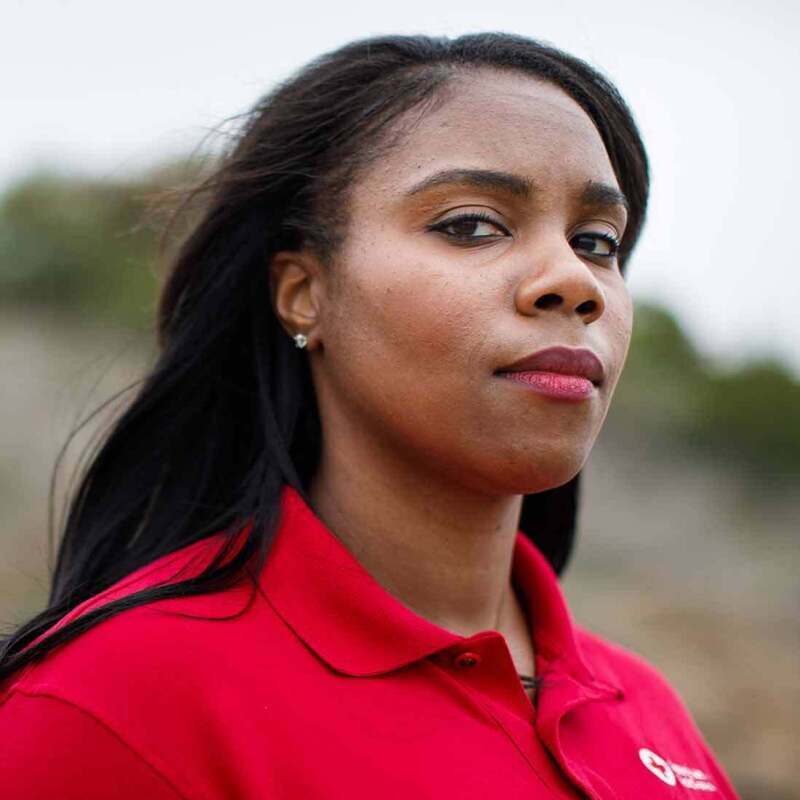 After spending six years on active duty in the Marine Corps and currently serving in the Reserves, Amazon has been extremely supportive of my career in the military, aggressively recruits and promotes military veterans, and cultivates a culture of trust and commitment that is similar to the culture I experienced in the Marine Corps. Amazon has many warehouses in low-income areas, providing vital jobs to these communities. The workers at my building in Dallas at FTW1 are respected, valued, and the leadership team prioritizes serving our associates and removing barriers from their work environment. Safety is our top priority and we commit to provide a safe, fun work environment. We have a Voice of the Associate board where our associates can voice any concerns they have out on the floor, our General Manager has an open door policy where anyone in the warehouse can have a meeting with him, we have appeals panels made up of peers if an associate feels they were unjustly written up, and the entire leadership team walks the floor for Gemba where we hear about barriers our associates are facing on the floor. Our entry-level associates have the same health plan as our GM and every one of our permanent associates receive company stock. In addition to all the protections we have for our workers here at our building, we have an Amazon Cares Committee that has given back to the community that we live in through donations as well as volunteering our time in the community. In short, Amazon has been a great working environment for me, has allowed me to have an impact in my associates’ lives by providing guidance through events like Resume Workshops, and has provided me great perspective on how to effectively lead people. I’m happy to talk more about my experiences if it’d be a value add. Our employees, from hourly associates to senior executives, have access to parental leave benefits like Leave Share and Ramp Back.